"Do you need to move your ride on mower from on place to another? Then a pair of these light weight folding ramps is the answer. 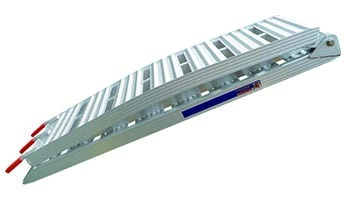 Simply attached these ramps to your trailer and load your ride on mower!"